Welcome to Day #4 of Chocolate and Flowers Theme Week, and Day #1 of Chocolate and Berries Theme Week. 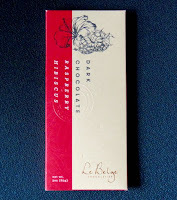 Today's Dark Chocolate Raspberry Hibiscus bar was from Le Belge Chocolatier (Napa, CA). This bar contained hibiscus flower crystals and freeze-dried raspberry granules (with real fruit and seeds). 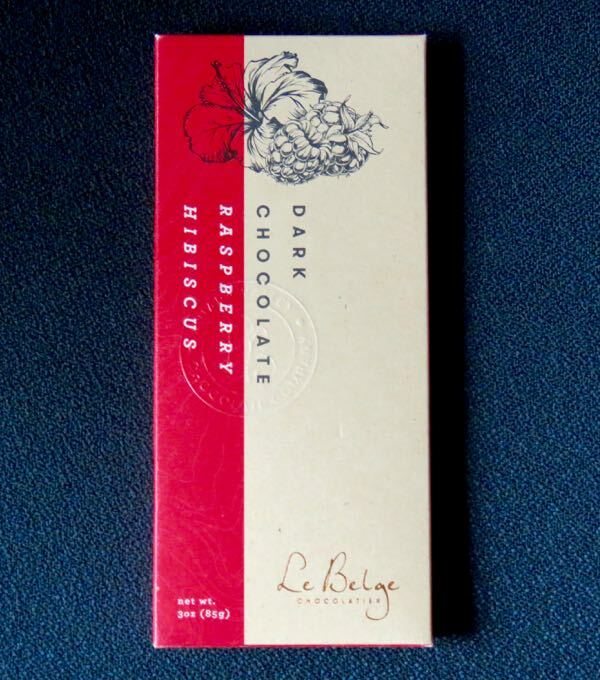 These two inclusions complemented each other nicely and added refreshing, bright red fruit notes to a smooth dark chocolate base and micro-bursts of crunchy texture.